Beldi soaps have enjoyed renewed interest and popularity in recent years. These are soft "paste" or "gel" type soaps that owe their softness to the use of potassium hydroxide (KOH) rather than sodium hydroxide (NaOH) in the soapmaking process. KOH and NaOH are two different types of lye. In soapmaking, lye—a strong base—reacts with the weak fatty acids that make up fats and oils to become soap. 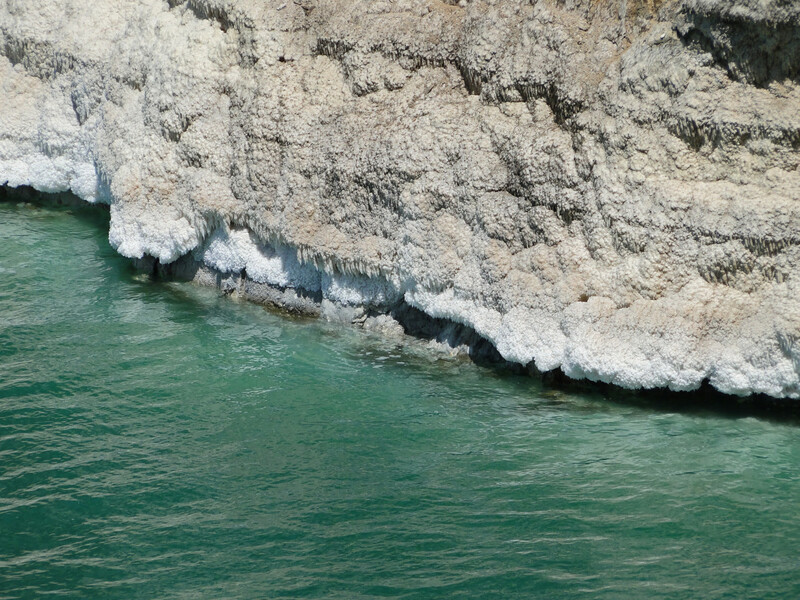 Many of the ancient and traditional soaps were soft soaps made with KOH because the most common source of lye in the past was from wood ashes, or the ashes of other plant materials. The type of lye found in these ashes is KOH. Our American grandmothers made soap using lye made from wood ashes, usually combined with tallow or lard, and these soaps were often hardened by adding salt. Beldi type soaps are KOH soaps believed to have originated in the Levant many centuries ago. Beldi is also sometimes called Moroccan black soap, or "Savon Noir." Like our American grandmothers' old-fashioned lye soap, this soap was made with potassium hydroxide (KOH) derived from wood ashes, and is a soft paste, rather than a hard bar-type soap. Traditional Beldi soaps were made with olive oil--the material most readily available for soap making in the Middle East. Crushed olives are often incorporated into traditional Beldi soaps. These soaps were--and still are--traditionally used in Turkish baths, or hammams, though they are now a specialty of Morroco. They are applied to damp skin, left on the skin for ten minutes or so in the steam room, and then scrubbed of with a kessa hammam, a coarse glove used for exfoliation. 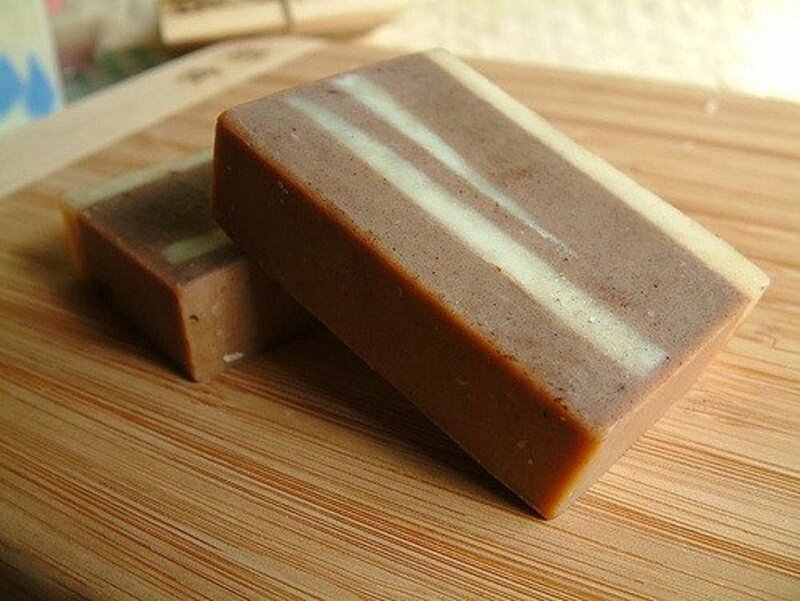 Modern soap makers have embraced these soft "paste" soaps and begun making their own adaptations of them, making use of the nearly endless variety of fats and oils available to today's soap maker. It may be a misnomer to call these modern soft soaps "Beldi." You certainly wouldn't call your grandmother's soft lye soap Beldi--even though it was a soft KOH soap, unless salt was added. But whatever you call it, the modern innovations surrounding Beldi-type soaps are exciting! So many of the fats and oils available to the modern soapmaker provide special skin benefits, nourishing and healing the skin with vitamins and other nutrients. If it is in fact Beldi that we are making, we're making it better! Are Potassium Hydroxide (KOH) Soaps Better for the Skin Than Sodium Hydroxide (NaOH) Soaps? Some soapmakers prefer KOH soaps--especially for facial soaps--because they seem to better for skin. When I began using my own version of Beldi as a facial soap, I noticed that it reduced acne and blackheads and gave my skin a finer texture, due to reducing the size of pores. Many soapmakers report similar results. Naturally, a person can't help but wonder is there is a reason for this. Potassium hydroxide produces a soap whose chemistry is different than sodium hydroxide soaps. The the soap that results is composed of potassium salts of fatty acids. (Soap is a kind of "salt" from the standpoint of chemistry--the result of the chemical reaction between an acid and a base. Fats and oils are weak acids--composed of what are called "fatty acids.") The more common bar soaps are sodium salts of fatty acids. Another compound that is produced by the chemical reaction between either type of lye, whether NaOH or KOH, is glycerin. The glycerin produced by KOH is chemically identical to the glycerin produced by NaOH. Why should KOH soaps seem to perform better than NaOH soaps? 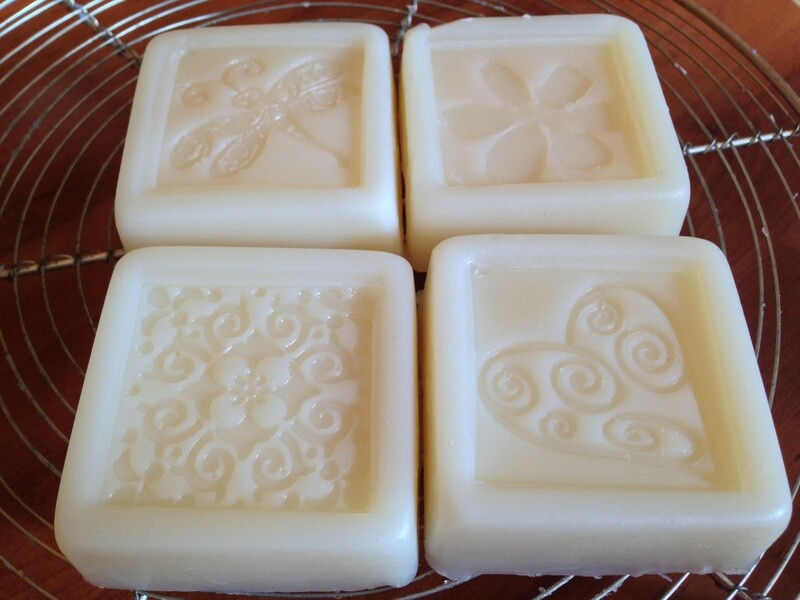 The main difference between KOH soaps and NaOH soaps is that KOH soaps have greater solubility. But even this relatively minor change in a soap changes how fats feel on the skin and how they interact. KOH soaps may have less of an ability to form micelles, resulting in a less harsh soap. Or it may be that the milder and gentler nature of KOH soaps is entirely due to their greater solubility in water. KOH soaps are less irritating to the skin than NaOH soaps. These soap qualities are a definite plus for those with sensitive and delicate skin! Besides, have you ever seen a photo from the 1800s of a woman with acne? 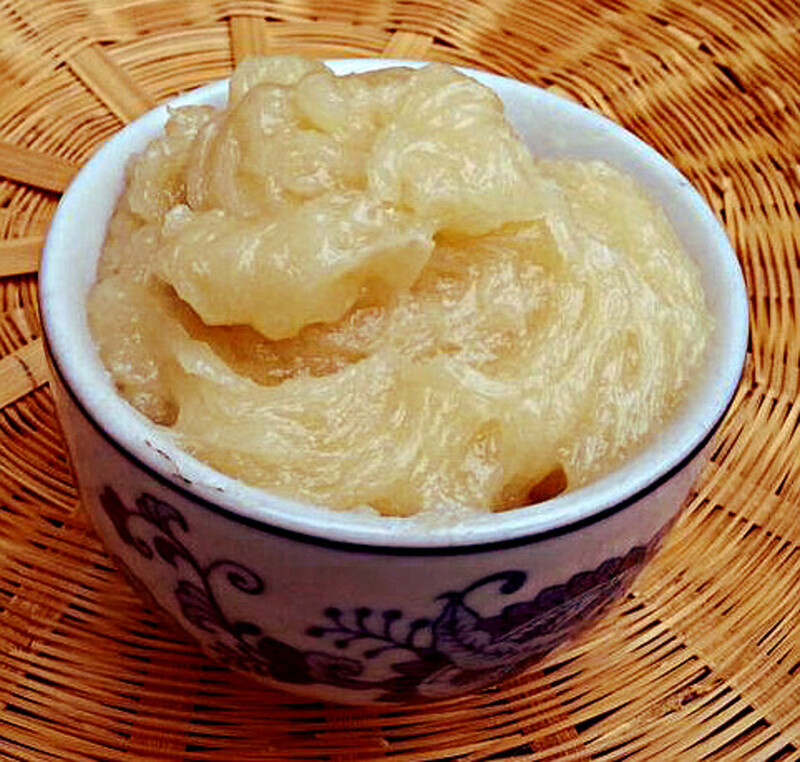 After two or three experiments with making Beldi soap, it finally dawned on me that Beldi needs no specialized recipe. It is just a soap using KOH lye, instead of NaOH lye. Why not make Beldi using my favorite bar soap recipe? 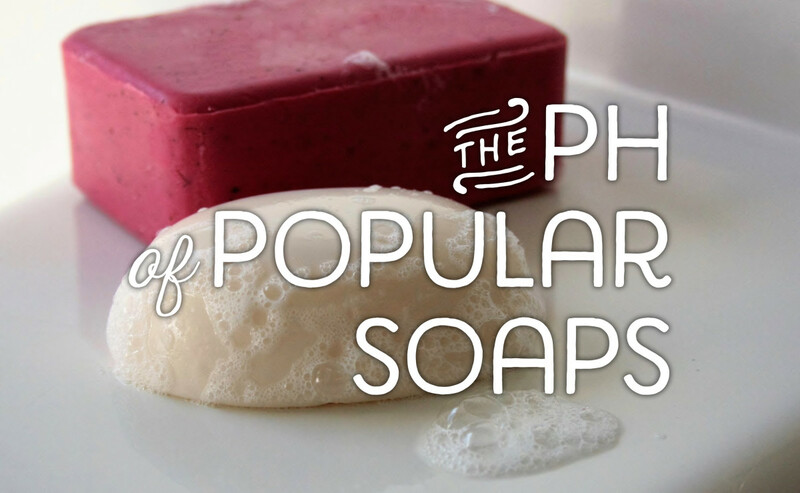 Most soapmakers take quite a bit of pride in their personal (and often secret) recipe. It is often the result of years of research and experimentation. Some of us are more puffed up about this than others. I myself am very puffed up about my soap recipe. I decided it should make a helluva Beldi, and I feel it did! You could try it yourself and see what you think. This recipe has been fancied up with what turned out to be a nice combination of superfats. Choose others, if you prefer, using a total of 6.5 ounces of superfats. The recipe was further fancied up by the addition of DL-Panthenol (pro-Vitamin B-5), which is super good for skin but, when using the soap, needs to be left on the skin for 5 or 10 minutes to absorb. It's also fancied up with Honeyquat--a powerful moisturizer than resists being washed off. These ingredients are optional. 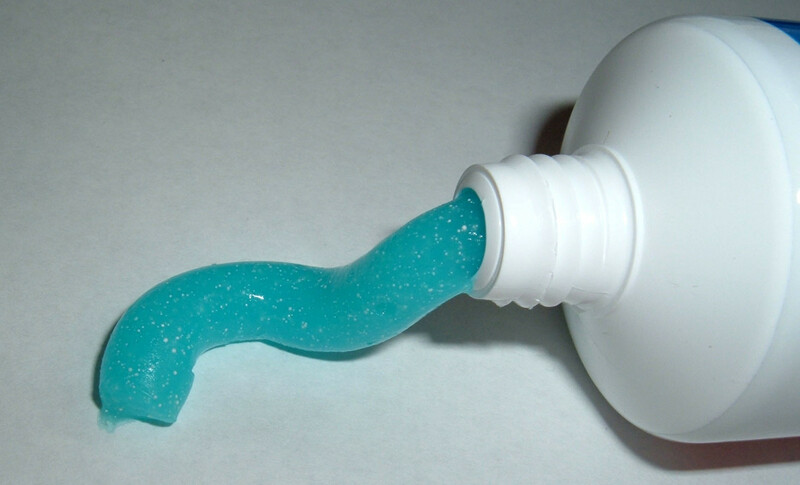 Sugar is often added to soaps to enhance lather. When I was making this recipe for the first time, I was out of sugar, so I used agave nectar instead. My impression is that it is a much more effective lather-enhancer than sugar. DO NOT MIX AGAVE WITH THE LYE WATER! I did this and got a minor explosion. Add the agave to the cool-down phase. I've divided this recipe into Oil Phase, Water Phase, Superfats to Be Added after Cook, and Cool-Down Phase, for simplicity. If you don't have agave nectar or don't want to use it, sugar can be added here. Dissolve sugar in ACV and then add KOH. 6 ounces Apple Cider Vinegar (ACV) You can substitute water for ACV. Soap weight is 33 ounces, plus 6.5 ounces superfats, 3 ounces essential oils, and 3.4 ounces panthenol and honeyquat, for a total of total will be 45.9 ounces. This recipe gives a richly emollient soap. 6 ounces ACV contains 5% acetic acid. 6 X .05 = 0.3. This (I think) should effectively reduce the KOH amount to 5 - 0.3 = 4.7, which would increase the total superfat to 20%. When this recipe is input into SoapCalc, it gives a Conditioning number of 63 and a Cleansing number of 10--super good numbers. Linoleic acid is 23%, and linolenic acid is 5%. These numbers are probably enhanced by so large a portion of oils being used as superfats. As with bar soaps, KOH soaps benefit immensely from being left to cure, or "rot," for at least a month. As with bar soaps, Beldi may feel harsh if it is used before it is cured. 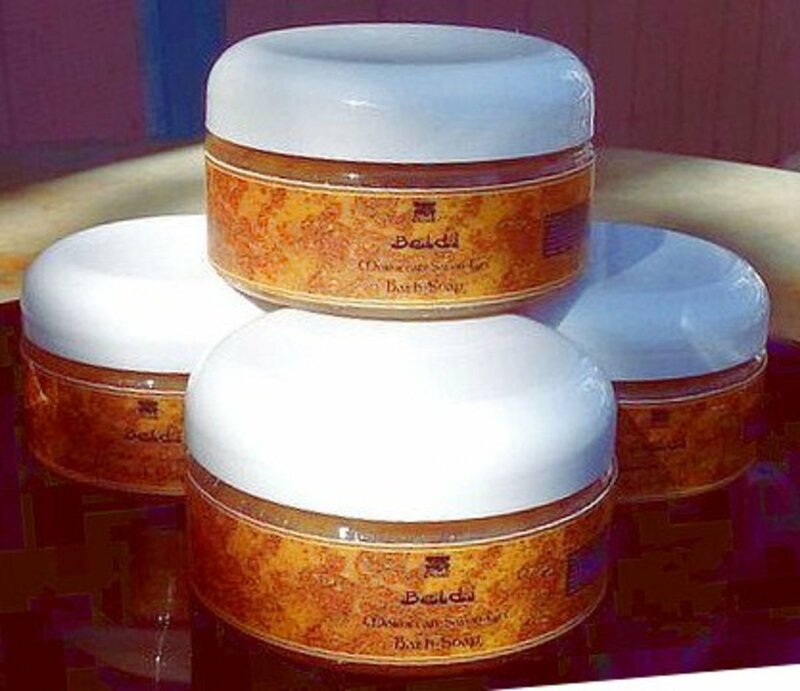 Beldi soap will continue to improve in mildness and skin feel for many months. Since I myself do not have a home steam room or a membership in a gym with a sauna, I make do. I warm up the bathroom to about 85 F. Then I get wet in the shower and then get out of the shower with a long-handled bath puff and a container of hot water. I apply Beldi all over and scrub all over with the bath puff. Then I let the soap sit on my skin while I shave my legs and pumice my feet--which probably takes at least ten minutes. Since there is room for a comfortable chair in my bathroom, I do this sitting down. 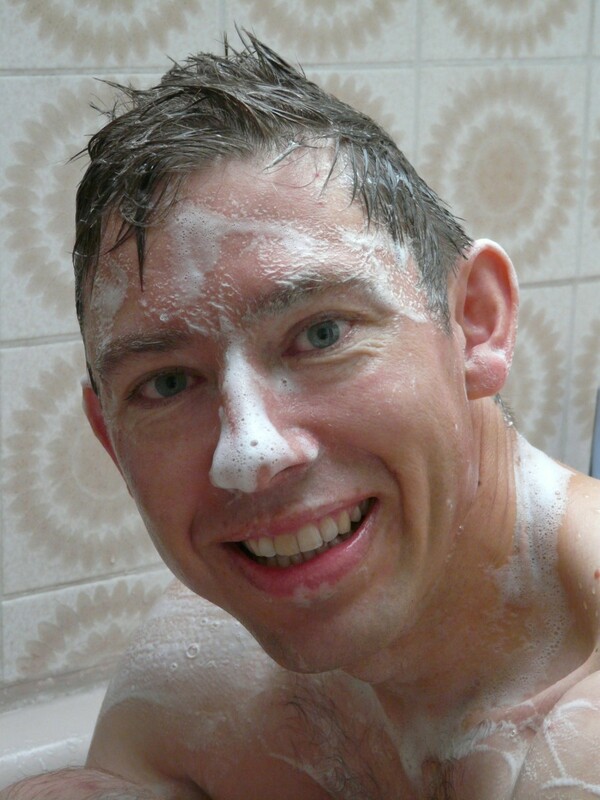 Then I scrub all over with the bath puff a second time and jump back in the shower to rinse off. All this could of course be done in the tub--or in the shower, which would be made easier if you have a shower chair. This soap can, of course, be used as you would any other soap--that is, without leaving it on the skin for 5-10 minutes. You would lose some of the benefits of the panthenol by washing off immediately, but the panthenol, though a valuable addition, is optional. Either way, I think you'll find this a wonderful soap. No other soap leaves skin feeling so soft, moisturized, and refreshed! Shirley, I'm thinking I will try a Beldi with mostly olive oil next. I'm curious to see how it will turn out! Beldi is hot-process soap, so you can add the lye-water (without cooling) to the melted oils. I make Beldi in a crock pot, so once the oils and lye are in the pot, I cook the soap till it reaches vaseline stage. So it doesn't matter if you start out with oils and lye water on the warm side; you're just going to heat them some more. I have never heard of them. Thank you for informing me. I'll check this out more. I hope you like it! You can use your favorite soap recipe, if you'd rather, with your preferred superfats. (You'd have to be a pretty hard-core soaper to have all the ingredients on hand!) I love the feel of this recipe, though, and I think the superfats in this version are especially nice. I love a high superfat in all soaps, but in Beldi you get the mildness and gentleness of a KOH soap as well as all the extra emollients the superfat oils provide. I just started looking into making soap and this Beldi-Type Soap article caught my attention. Thank you for sharing your recipe. Yes, this is HP. You can make a Beldi-type soap just by using KOH instead of NaOH. Now, purists will tell you it's not Beldi unless it's made with olive oil and crushed olives. My real opinion is that it is that this recipe (and many other such adaptations) are probably better than traditional Beldi. We modern soapmakers have endless possibilities in the way of oils and butters--not to mention botanicals--that could be included. So this HP not CP? Also, can I use my go to recipe but just change the lye type?